Northwest Marine Industry has a very interesting story to tell. 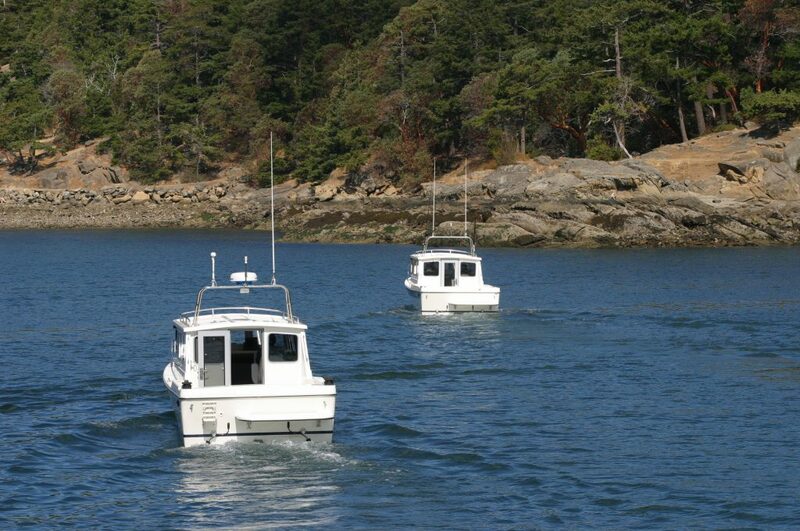 We proudly produce Sea Sport, Osprey, C-Dory, and Skagit Orca boats at our plant in Bellingham, Washington. It is our intention to consistently improve the fit and finish of our boats, while maintaining the integrity of the tradition of each boat line. We are very excited and honored to be a part of the boat manufacturing community, but our story has not been without peaks and valleys along the way. In 1955, Wright Manufacturing opened in Bellingham, WA in the Fairhaven area. There were two locations one on Harris Avenue (an old dance hall the second location sat across the street from where the Alaskan Ferry Dock sits today. Frank Wright, along with his son’s David, Bud, Dennis, and Ronald were responsible for fabricating the fiberglass boats in Bellingham. Early on the boats produced were between 8 and 12 feet and were open bowed. Wright Manufacturing had a contract with Sears and Roebuck to sell their boats. (Boats for Sears were called Elgin) All other boats produced were called “Sportsman” and were widely respected in the boating community. In 1973, Wright Brothers was formed and incorporated; and in 1977 relocated to a larger facility in Bellingham with Ronald and David at the helm. After opening the new shop, “Sea Sport” boats were born in 1986. With the help of David’s wife Sharon, and their son David, Sea Sport began to produce larger boats, which included the 19’ Skipper and the 22’ Sportsman. These boats quickly became popular in local waters and were respected as vessels that could handle the rough Northwest seas. At the new facility many of these boats were produced and more lines were added including the 27’ Navigator, the 27’ Sea Master, the 27’ Alaskan Pilot, and the 24’ Explorer. As new lines were available, and a small network of dealers grew, production needed to significantly increase at the facility. Many were hired to help, and several new buildings were added to increase volume. Into the 1990’s Sea Sport boats expanded further, developing relationships with several local dealerships and again expanding their fleet adding the 32’ Pacific Catamaran. This was a massive undertaking and again saw the staff increased. Business was strong for Sea Sport throughout the 90’s and the business added the 30’ Voyager and Offshore models to the fleet. As the decade was ending Ronald, David, and his son David began to contemplate a different future. The business was sold to an outside entity and Sea Sports were continuing to be produced locally at the same location. After a downturn in the economy and a subsequent dip on the boating industry, it came to pass that Sea Sport boats were no longer being produced. At an auction of goods left behind by Sea Sport, Ronald, his son Mark and his Son-In-Law Ryan bought the Sea Sport tooling and were left with a difficult decision. After a great deal of conversation and thought, it was decided that reviving the brand was an opportunity that could not be passed up. The group who purchased Sea Sport boats had acquired the rights to produce C-Dory, Osprey, and Skagit Orca boats and moved to a smaller facility in Ferndale, WA. In 2011, that group made the decision that it was time to close the doors at their facility. Ronald, Mark, and Ryan then made the decision to take control of what was called Triton Marine. A small crew produced all 4 lines at the Ferndale site until the fall of 2013 when the facility caught fire. The fire was a catastrophe and destroyed almost all the equipment as well as several of the molds which had boats in the process of being built. The new ownership group was faced with an extremely difficult decision again. Many of the molds that were used for production were salvaged and the crew was excited to keep the brands alive. 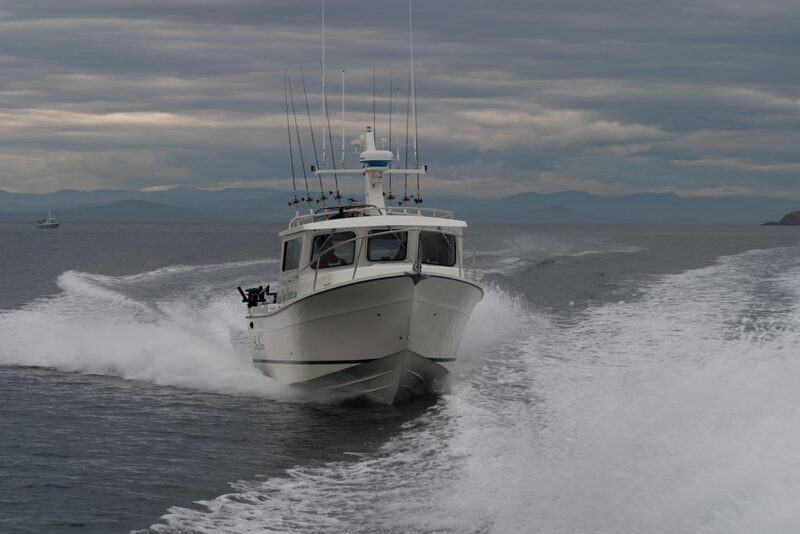 After another period of reflection, prayer, and discussion, it was decided that the newly formed Northwest Marine Industries would rise from the ashes to continue producing pilothouse boats. With the assistance of a boat broker in Seattle, and the Port of Bellingham, Northwest Marine relocated to its current facility at 809 Harris Avenue in Bellingham. Here with more space, a larger crew, and the leadership of production Managers Greg Little and Michael Millison, Northwest Marine has remained one of the premier pilothouse producing facilities in the United States. A new network of dealerships in the Pacific Northwest, Alaska, the Southeast, and British Columbia have grown all 4 brands significantly in the past several years. Today Northwest Marine is a proud producer of Sea Sport, Osprey, C-Dory, and Skagit Orca.